Burlap is a fantastic material to include in your home decor and a great way to bring it forward is by using accent throw pillows. Because burlap is a rustic fabric which can be overwhelming in large quantities. 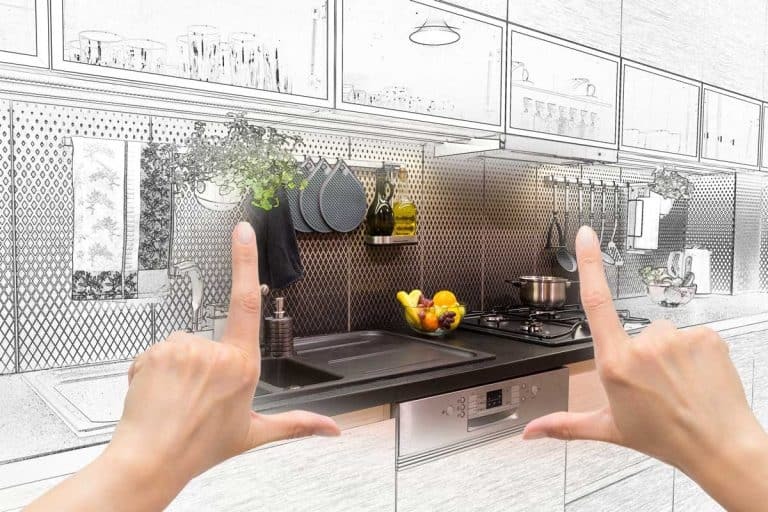 In its coarser form, it doesn’t lend itself very well to furniture or drapes so you have limited options when incorporating it into your home design. Throw pillows are really your best option for bringing in burlap in all its glory, including in sack-like rough designs that support prints and sayings. Burlap doesn’t have to be course though! Some of the pillows in this list show you the more delicate side of this natural-fiber-based fabric. 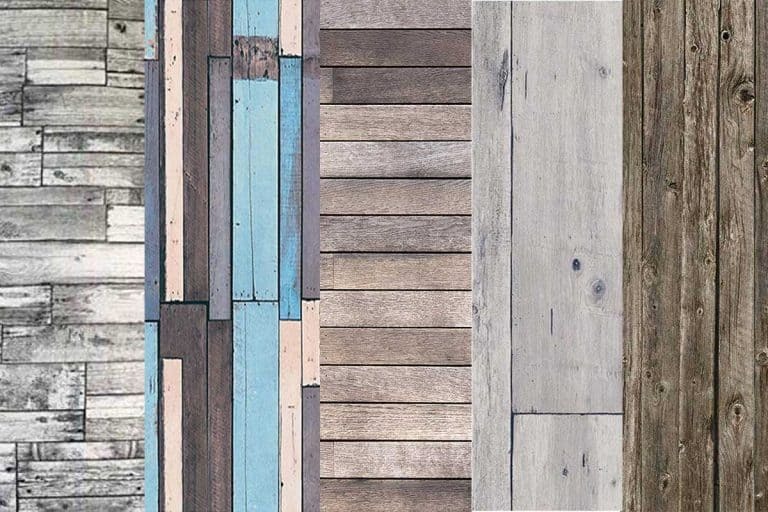 We hope it inspires you to add a natural rustic element to your bedroom or living room. This throw pillow cover is made using durable linen blend material that is soft and durable. The lack of any patterns or striking colors adds to its versatility. It’s relatively minimalist design will definitely add a touch of personality to your living room. It comes with an invisible zipper to enhance its appearance while making the insertion and removal process a piece of cake. The throw pillow cover is easy to clean because the fabric does not shrink after machine washing. Just make sure to use cold water. Word of caution: make sure to handle the zipper with care, they are fragile and may break with rough use. Click here to buy this great-looking throw pillow case. If you want to go for a more rural design, then this throw pillow cover is just the thing you need. It comes with a high-quality print showing three roosters on both sides of the pillow. The caption at the bottom which read as, “Sterling, Illinois Grade A Product” adds a little more authenticity to the overall design. The artisan was careful enough to not go overboard with the color palette, to ensure the appearance looks as authentic as possible. The fabric is highly durable and intended for long term use. It is made with 50 percent linen and 50 percent cotton. The throw pillow cover has a hidden zipper at the back for easy insertion and removal. Click here to buy this throw pillow cover. Home Brilliant is a well-known manufacturer known for its impressive lineup of elegant throw pillows. This time around, they are featuring these chic burlap throw pillow covers that are available in a variety of color palettes. You could go for a brilliant pink for a visually striking bedroom or a dull gray for a more minimalist look. 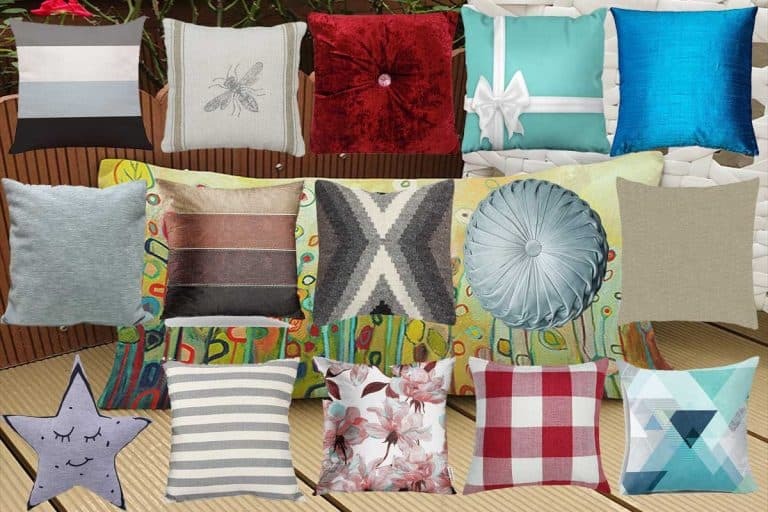 Whatever your choice for color, you would be highly impressed by the visually striking appearance of the throw pillow. If you want to add more personality to your room but don’t want to go all in, then make sure to get these throw pillow covers. Click this link to get these throw pillow covers. This pillow cover is unique in that, it has burlap fabric on the front and linen at the back. The contrast between soft and slightly harsh material might be off-putting, but nothing that detracts from the overall experience. You can buy these throw pillows in four different sizes, ranging from 12 by 12 inches all the way up to 22 by 22 inches. Make sure to do your research before ordering these because, in the case of throw pillows, size does matter! Click here to buy the throw pillow covers if you’re interested. Round out your living room with a dash of burlap fabric throw pillow cover. This product is made with environmentally friendly and soft faux cotton linen. The piece comes in the color of your choice, and there are many to chose from, including bold red, beige, and a few splashes of neutrals. You can’t go wrong with these throw pillow covers, which epitomize expert craftsmanship. To keep this throw pillow cover looking sharp, just clean as needed. The insert is not included, but you can buy one separately. Miulee only sells 18 by 18 inches at the moment. This burlap throw pillow offers a budget-friendly way to play around with proportions and bring more color to your room. This throw pillow adds a layer of comfort to your bed scrape, hangout space, or desk. The throw pillow is available in a variety of color palettes and sizes for enhanced visual experience. This throw pillow is a convenient way to add a splash of color to enliven your living spaces. The hidden zipper at the back makes it easy to remove and insert the throw pillow. Furthermore, it is easy to wash this throw pillow cover, but make sure to wash it separately and using cold water. Linkwell designed another high-quality throw pillow cover that makes excellent use of captions and clever use of a versatile color palette. This burlap pillow cover will make your room look more adorable because of the minimalist design that should complement most accessories in your living room. There is a hidden zipper at the back allows the design to remain consistent throughout. If you want to refresh the look of your room with a more stylistic look, we highly recommend this piece. You can give a more personalized touch to your living room by customizing the caption that goes on the front. The Three Arrows Collective allows you to add your choice of numbers and letters for a more bespoke experience. This is why we recommend keeping this throw pillow cover as a gift for your loved ones, and nothing makes it clearer that you care by gifting them something more personal. The caption is printed in black against the backdrop of an off-white color. This allows the caption to take centerpiece in your living room and is bound to spark a conversation based on it. Click here to buy this customizable throw pillow. Whether you’re rounding up your interior design or just starting out, either way, a strategically placed well-designed throw pillow is definitely what you need. This rustic throw pillow by Bursonvic gives you the opportunity to try trending styles and trends without committing to overhauling the entire décor. Try adding a few pieces and see if it works well. You will find this throw pillow to be extremely feature-rich. It is manufactured using a thick linen fabric that is breathable and easy to clean. This means you won’t have to worry about moisture corrupting the throw pillow from inside out! This throw pillow cover by SEEKSEE showcases the perfect rustic chic look, making it an excellent choice for aesthetics ranging from modern farmhouse to coastal cottages. The rectangular silhouette features raised accents that are designed to keep your back comfortable. Furthermore, these pillow covers are made with a highly durable blend of cotton and linen, virtually guaranteeing longevity, comfort, and ease of use. The hidden zipper at the back makes it easy to remove and insert throw pillows. The fabric is shrink resistant and the ink doesn’t fade. This allows the throw pillow to be easily washable with a gentle, cold cycle. Click here to buy this throw pillow. The artisan carefully chose an animal-themed mural that features a ‘mugshot’ – of sorts – of a horse. The tonal variation in red is a nice touch to the design of this throw pillow since the artist didn’t use any other color other than red. The neutral brown adds new heights to the throw pillow, making the design look all the more visually striking. The best part about this pillow cover is that it is low maintenance and easy to clean. It is currently available in 18 by 18 inches. This throw pillow adds artful appeal and comfort to your room, making it perfect for just about any place in your abode. You can toss this throw pillow onto a sofa for a quick overhaul or bring it into the bedroom for a tiny makeover. It is crafted from environmentally friendly materials that are highly durable, comfortable to the touch, and easy to clean. 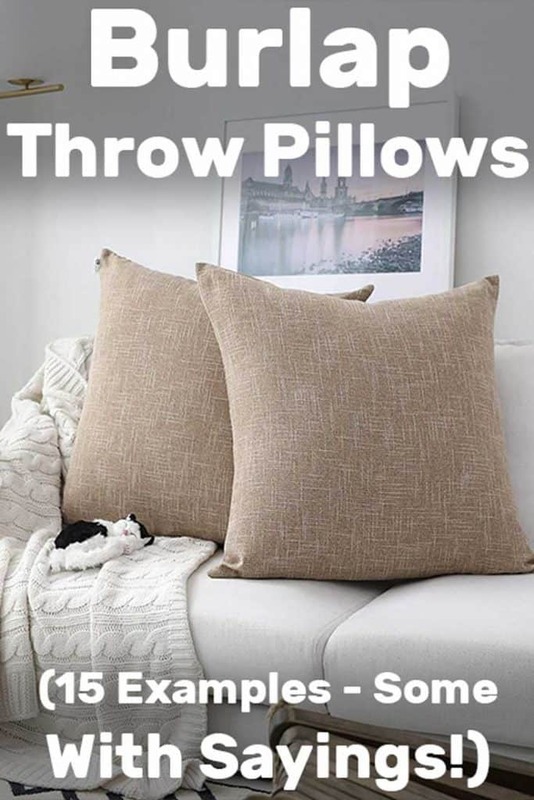 What impressed us more is the fact that this throw pillow is fully biodegradable, so for those of you who want to do your part for the planet, this throw pillow is an ideal addition to your home. You can buy this throw pillow here. These pack of 2 throw pillows designed by Muresh features fully customizable captions, allowing both pillows to be used as a gift for two people, ideally partners. The embroidered cover will easily add a beautiful layer of touch to your home décor. The print features on both sides of the throw pillow and takes advantage of technologically advanced ink to prevent it from fading. The rectangular silhouette of the pillow is packed with beautiful art that will look wonderful in any setting. A hidden zipper at the back allows for easy removal of inserts. Maintenance for the throw pillow is easy and you can wash it in a machine in cold water under gentle settings. We hope you find this guide inspirational! Enjoy incorporating burlap throw pillows into your home!